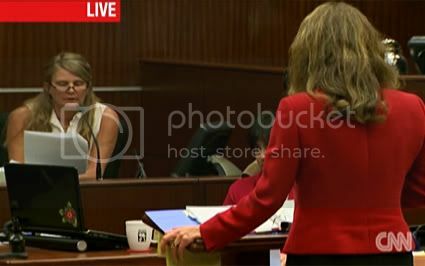 There were all sorts of mad doings in the courtroom today as trial resumed from its extended break. But first some extraneous In Session material you may have missed. And what could more extraneous than an interview with Bob Proctor. Bob Proctor is standing by his man James Ray. Although he does think that Ray law of attracted this mess to himself. He's not really sure how or why but, you know, the law of attraction works every time. Proctor was interviewed on In Session last Thursday. Fairly useless but for this one deliciously laughable tidbit. Asked about the myriad of academics and professionals who think Proctor's beliefs about the law of attraction are crazy, he said, "Well they obviously don't know what they're talking about." It made me chuckle only because I distinctly remember Bob Proctor admitting in The Secret that he doesn't know what he's talking about. The relevant bit of sheer nonsense can be found at about 13:00 on the counter in the above video. Now if you don't understand it doesn't mean you should reject it. You don't understand electricity, probably. First of all, no one even knows what electricity is. And yet, you enjoy the benefits of it. Do you know how it works? I don't know how it works. But I do know this. That you can cook a man's dinner with electricity and you can also cook the man. That's Bob Proctor on the inconceivable mystery that is electricity. No one understands electricity and yet it works. No one understands the law of attraction either so it must work, too. If only the law of attraction, as defined in The Secret, were as reliable as a light switch in my house. Of course the reason that electricity works fairly reliably in our lives is that a whole lot of people do, in fact, know what it is and how it works. They have all kinds of fancy titles like physicist, electrical engineer, and electrician. By the magic of my electric powered computer and the deeply mysterious Google, I can quickly come up with an answer for the befuddled Mr. Proctor. Here's just one example. But again, Bob Proctor is part of the brain trust that explains the law of attraction as working just like a magnet with positive thoughts attracting positive experiences and negative thoughts attracting negative experiences. See how simple? Positive attracts positive and negative attracts negative. This, of course, is the exact opposite of how magnets work. Listening to that Bob Proctor segment in The Secret again made me think of another student of the universal mysteries. Bill O'Reilly got a lot of attention recently for his unassailable logic in proving that God exists. Sun comes up. The sun goes down. The tide comes in. The tide goes out. It always happens. Never a miscommunication. Stephen Colbert paraphrased O'Reilly's unassailable logic here, saying "There must be a God because I don't know how things work." For those who might still be confused he broke it down a little more in the following segment. I'm being a little hard on Bob Proctor and not for the first time. In my original post on The Secret, I singled out Mr. Proctor for particular ire. I found his insistence that the key to bringing good things into your life is to go into willful denial insulting, ineffectual, and potentially dangerous. My view has not changed... Moving on. If I ever had a doubt that last week's mistrial motion was a Hail Mary pass, it evaporated when I read the defense's prosecutorial misconduct memorandum. Basically, they're accusing the prosecution of lawyering. So they were already scraping the bottom of the barrel to try to come up with reason for a mistrial when they noticed the Haddow email. They got their their Brady violation ruling but they did not get their mistrial. Now what? I said last week that I think the Haddow email is a red herring and that now the defense is stuck with it. Well, after listening to a lot of legal argument today, I have to say they're really trying to have it both ways. They're determined not to let it stick but it's become a more multi-purpose red herring. For as long as they can spin this without becoming accountable to the actual information in it, they will parlay this thing and the Brady violation in every conceivable way. It's a new rhetorical wedge to get all the prior sweat lodges thrown out. It's a way to pummel the prosecution. (And where is their special jury instruction, dammit?! They're supposed to get a special instruction. -- Three more days of this I swear Luis Li is gonna threaten to hold his breath until Judge Darrow approves one.) It's justification for whatever the defense wants to do. It's impeachment material to beat up the Hamiltons... and anyone associated with the Hamiltons. It's also a floor wax and a dessert topping. The one thing it's not, apparently, is testimony they ever want entered into the record. I don't think Mr. Haddow turned out to be their cup of tea... or even their cup of CO2. In his rather disastrous cross-examination of Debbie Mercer -- more on that later -- Kelly tried to use the Haddow report to impeach her testimony and suggest that responsibility for the tragedy fell squarely on her and husband's shoulders? I mean, they built the sweat lodge, right? (Well no, not exactly.) And a report from an environmental expert said the problem was the shoddy, off-center sweat lodge. Needless to say Sheila Polk objected and there was some interesting back and forth during the break. It actually got a little weird with Kelly claiming that he thought the defense couldn't call Mr. Haddow. This is very strange, indeed, considering that before their requested continuance, Kelly was saying that he intended to interview Haddow face to face to see if he had the "presence" to appear as a witness for the defense. Kelly: I can tell you we do not intend to call Mr. Haddow. He was not disclosed timely as a witness in this case. We understand your court order. He can't testify. But I'm still entitled to ask the question. Kelly: Well Judge when, I understood a clear order from the court a couple of weeks ago that the time for investigation has ended. And uh, if we're provided the option of calling him, I appreciate that, but as we stand here today I don't want to mislead the court. We had the chance to interview him but we don't intend to call him. Darrow: Okay. Well I want it clear that this was an unusual circumstance and that if, we continued the trial, and if you want to call an expert you were and are given that opportunity. But with regard to the objection, uh, I-I've said this before. I, don't believe it is appropriate to call a witness without knowledge in order to make statements to that witness and essentially get them before the jury. There can be questions about knowledge of a report but if the person doesn't know there's a report then, uh, and doesn't have knowledge of it just bringing in the evidence in that fashion through a witness without knowledge, it's not something I've really seen, uh, uh, to any large extent. Ms. Polk? Darrow clarified that not all evidence has to be admissible to establish a good faith basis but he is in accord with Polk that it is inappropriate to question witnesses about a report they know nothing about. Kelly's response to having his Haddow cudgel taken away? To just refuse to give it up. Kelly: What's improper in this case is the clear Brady violation you found. And we're trying to deal with it mid-trial. We request a jury instruction; some remedy that allows my client a fair trial. What I would ask permission to do is ask this question to the witness regarding the construction of the sweat lodge. And yes I will be relying on the opinions of Mr. Haddow in asking those questions and she's free to answer however she chooses. Darrow: But there just, there cannot be assertions that this is a fact; there's really an expert out here that says this and don't you know that this expert says. You can ask about aspects of construction. That's absolutely a legitimate topic. Aspects of construction and whether this or that might be important or not. But basically, uh, certifying that this, this expert has, has made specific criticism and just, just asserting that in that fashion, again with th, the, particularly with a witness who has, may not have any knowledge of that, but I don't know that, um, that question's been asked. Ms. Polk? Polk: Your honor, just by way of example, Mr. Kelly asked a question about the off-center pit. What Mr. Haddow would testify to if he took the stand in this trial is that the off-center pit created, that the heat coming from this pit creates a heat barrier. His testimony is that people who are closest to that heat barrier suffer more than those who are further away. Which, again, is kind of obvious. He would testify if that pit had been center, instead of toward the back, the heat barrier would be even greater and more people would have been subject to greater heat. So to mischaracterize that off-center pit as somehow a deficiency in the sweat lodge that created; that caused people to die that otherwise would not have died is a complete mischaracterization of what Mr. Haddow would say. If the pit had been center, he will testify there would have been even a greater heat barrier created by that pit and the rocks. So, in sum, Kelly wants all the tools at his disposal to get Ray a "fair trial" in light of the Brady violation. They are trying to "deal with it" anyway they can -- except calling the witness who provided the exculpatory, "Brady material." Why? Because it's not exculpatory and would, if Polk's reading of Haddow is accurate, prove that if the sweat lodge had been built properly more people might have died. I tend to think Polk's read is accurate because after demanding a continuance to suss out what this witness -- that the prosecution was supposedly hiding -- had to say, they can't get away from him fast enough. Well, not as anything other than fig leaf cover. This is yet another case of the defense trying to sneak partial information through the back door and never admit it as actual evidence because the totality of that evidence makes James Ray look bad. And this was evidence they made quite a stink about getting their hands on. They also want to have all the prior sweat lodge evidence thrown out because Haddow, whom they don't want to testify, proves that it's all irrelevant. The problem is the lodge itself, silly rabbit, and it was only built in 2008. 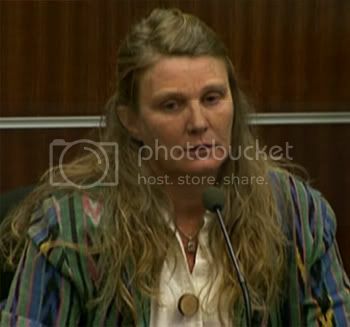 But Sheila Polk pulled a rather clever maneuver, pointing out that the more the defense argues that it was not the excessive heat or James Ray's conduct that was the cause, the more important it is that the prosecution be given every opportunity to prove that Ray's heat endurance challenge was the cause. That would mean including the problems at his prior sweat lodges and the lack problem at other Angel Valley sweats. The final outcome on that is still pending, but there continued to be questions of Debbie Mercer today on 2007 and 2008. Kelly objected repeatedly, and his objections were overruled... repeatedly. Another interesting tidbit that came out during arguments had to do with the ongoing questions about the Hamiltons, their ministry, and their tax exempt status. It turns that they have both a tax exempt ministry and an LLC and that they have been filing tax returns. Li is still not ready to let the matter drop but we shall see. 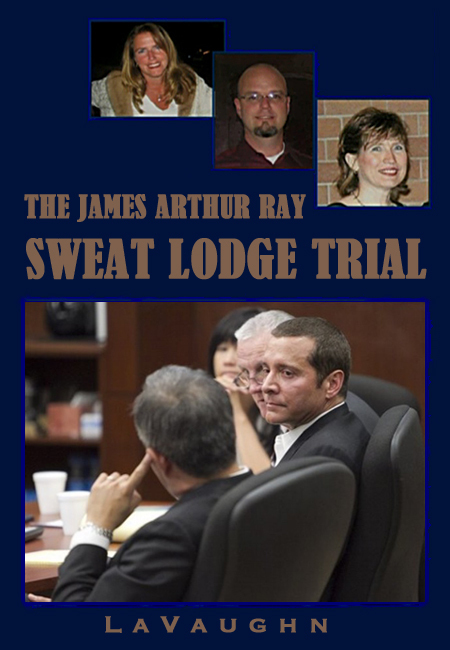 I didn't think I could be anymore horrified by Ray's post-sweat lodge behavior, after hearing Debbie Mercer's testimony the week before last. Mercer had explained that after telling Ray that three people weren't breathing and they needed to find a cell phone to call 911, he shrugged his shoulders. Well. I was wrong. It gets worse. Today Mercer testified that when she returned from calling 911 at her house she saw Ray talking on a cell phone. There is, of course, no record of Ray calling 911. The only calls came from Mercer and Amayra Hamilton. So who was Ray talking to and what prevented him from using that cell phone to call 911? Mercer also fleshed out some of her prior testimony about things she observed during the sweat lodge. What did Ray do with all those buckets of water besides dumping at least six of them straight onto the rocks? He splashed himself with water from them. He also had drinking water with him. No one else got to drink water or use a makeshift birdbath. Mercer also testified that the very large woman, clearly Linda Andresano, who was dragged from the sweat lodge was taken away in a golf cart after being unconscious and still not appearing to even know her own name. As we already know from Andresano's testimony she was indeed taken to her room, undressed and redressed by other people and only really became aware of things when she was trying to wake herself up in her room. She, thankfully, sought medical attention herself. Mercer helped people onto the helicopters and into ambulances. She disclosed today that she had to put Lou Caci back into an ambulance because she saw he'd gotten out and started wandering around. She had to hold his hand and talk to him like she would to a child. He explained that he couldn't go to the hospital because he wasn't wearing underwear. So the other big news for the day: Lou Caci goes commando... or thinks he does when he's delirious. It's not really clear. She also remembers someone she thinks was Liz Neuman had become combative. When Mercer tried to calm her she was very sweet to her, comparing her to an angel and describing her wings. It probably wasn't Neuman but whoever it was was right. Debbie Mercer was an angel on that day. Polk also asked Mercer to clarify her own post-sweat lodge health issues. Of course, much has been made of that fact that she wasn't in the sweat lodge, was near that fire with wood that may or may not have been treated, and that she needed medical assistance. But it's clear from listening to her testimony that she was suffering from exhaustion, the after effects of an adrenaline dump, and low blood sugar. She hadn't felt ill until after she'd left the area and gone home. The medical visit was a precaution, urged by her husband. Towards the end of her testimony, Mercer listed a number of the "encouraging" phrases used by James Ray that were new in 2009: "You're more than that," "You're not your body," "To be reborn you have to die," "Play full on," "Worry about yourself and your journey," "You need to leave your body to live." So there was a lot more emphasis on death in 2009 than in prior years. Strange considering that this event was right after the Harmonic Wealth seminar in which Colleen Conaway died. I knew when I saw that Kelly would be cross-examining Debbie Mercer that he would be way too aggressive towards a sweet woman who the jury probably considers somewhat heroic. Kelly did not disappoint. He got really nasty. He started off by introducing a new tack. The reason we are now to believe that Ray's sweat lodge was hotter, wetter, and longer, than a traditional, Native American, "spiritual" sweat lodge was because it was a corporate event. Kelly tried to explain the difference. Kelly: Were you aware that they were designed to help people overcome personal issues? Mercer's out of turn, not yes or no answer, was stricken, but that exchange really sums up how most of today's cross-examination went. Mercer was at turns baffled, sincere, and stridently opposed to letting Kelly cram his narrative down her throat. Kelly also tried to turn her "crazy Americans" quote into a thematic hook, explaining that crazy Americans do all kinds of things, from climbing mountains, to running marathons, to driving fast cars and motorcycles. Because I'm sure no one in any other country does any of those things. Scott Barrett used his free will, while pursuing his crazy American dream. They all did. Debbie Mercer was not so sure that they all had the free will to leave; only "to a point," she said. So, after asking her for an opinion as to whether or not they did, not liking that opinion, Kelly went on the attack. Kelly: Are you telling us that Scott Barrett, a general contractor, military pilot, cowboy, is not capable of exercising free will because of some hocus pocus from James Ray? Is that your testimony? Kelly: Are you saying that his words, mere words, "You can beat this," "You can overcome it," somehow interfered with the free will of these people? It's so funny the way witnesses are qualified to give answers the defense likes but wildly unqualified when they do not. Later on Kelly tried the same sort of tactic, going over Mercer's 2008 photographs with her to point out that people were really having a great time after the sweat lodge, splashing around in the mud. (He also asked her to point out the vomit in photos of wet, muddy ground, which was... weird. And impossible.) When Mercer said someone didn't look particularly happy, like if they were all curled up on the ground, Kelly pointed out that she hadn't interviewed them and could not possibly know whether or not they were happy. Then moments later he would point out a smiling face and ask her to agree that the person was happy. It went on like that for a while before Mercer totally lost patience. Kelly: That lady looks pretty happy, correct? Mercer: The one standing up! Kelly: Okay, well you don't know about the one laying down do you? Mercer: I don't think that's fair you can ask me what this one feels like and not say, and ask my assumption of this one, and not my assumption of this one. Why can I make an assum, why do you want my assumption of this one. 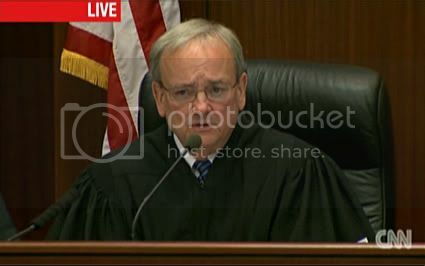 At that point Judge Darrow had to step in again because Kelly had completely lost control of the process. Mercer ran rings around him throughout his, endless, repetitive, hours long cross examination. In another deeply strange twist, Kelly set out to prove, a) that vegetarian cuisine was Angel Valley's policy, and b) that there is nothing mind altering about vegetarian cuisine. It turns out that the vegetarian menu at Angel Valley is optional so it was James Ray's choice. And as anyone who can remember back to the early days of this trial would point out, it was Ray himself who said that a vegetarian diet is mind altering. He said he wanted people ungrounded and off-balance. You know, one of the reasons you may have noticed already we have a vegetarian cuisine here. You know, I'm not a vegetarian. I don't advocate it. Particularly when you're doing a lot of energy work, you know, it's, it's, and and you need to be grounded. You look at people who, who are vegetarians and by and large they're not very grounded. Why? Because they just don't have enough protein within them. However, I don't want you grounded here. I want you off-balance. That [inaudible] bogus anyway. I want you off a little bit. I want you, I want you out of you're traditional patterns. Because, because to the degree you're not grounded, then, and that's why we have vegetarian cuisine here. So like or not like it, huh, you're out here and the electric fences are on. [much laughter] And they ain't turned off for five days, now, so. But there's a reason for everything that we're doin' here. I want, I want you to get out of your traditional ways of behaving. Because in that way I can push your threshold. You can push your threshold. I can help you facilitate that. And you open up to greater opportunities. Kelly also introduced the idea that Mercer had learned how to build a sweat lodge on the internet; something we've heard from the defense before, in arguments before Judge Darrow. It turns out that's pretty wrong. In fact, all Mercer had done was try to verify by internet research if Gary Palisch's email on how to put the blankets on was on was accurate. It was, according to her research. And it was only the blankets; not the structure itself. All in all, Kelly's attempts to nail Mercer on sweat lodge construction questions, hot off his face to face interview with Mr. Haddow, was a bust. The Mercers didn't build it. They only assisted people hired by the Hamiltons. The weed barrier under the sweat lodge that Kelly tried to prove created a plastic, nearly airtight seal with the tarps on the sweat lodge, was actually fabric, according to Mercer. Besides which it was covered with dirt, so it wouldn't have formed a seal with anything. Kelly was, once again, operating from bad facts, and the conversation went round and round, with Mercer repeatedly clarifying that he had it wrong. But no single moment was as outrageous as when Kelly insisted that Mercer's choice of the word "gauntlet" to describe Ray's heat endurance challenge evoked a Native American term. How could she compare Ray's "gauntlet" to the more "loving," Native American sweat lodges -- she hadn't -- when running the gauntlet was a Native American tradition? Wow. The gauntlet of ‘run the gauntlet’ has no etymological connection with gauntlet ‘glove’ (15th c.). The latter was borrowed from Old French gantelet, a diminutive form of gant ‘glove’. This was originally a Germanic loanword, with surviving relatives in Swedish and Danish vante ‘glove’. As for ‘running the gauntlet’, it was to begin with ‘running the gantlope’, in which gantlope signified ‘two lines of people armed with sticks, who attacked someone forced to run between them’. This was borrowed in the 17th century from Swedish gatlopp, a descendant of Old Swedish gatulop ‘passageway’; this was a compound noun formed from gata ‘way’ (related to English gate, gait) and lop ‘course’ (related to English leap and lope). Under the influence of gauntlet ‘glove’, English changed gatlopp to gantlope, and thence to gantlet (now restricted in use to an ‘overlapping section of railway track’) and gauntlet (as in ‘run the gauntlet’). So in addition to wildly misstating a number of the elements in the building of the sweat lodge, Kelly threw in the murder of historical facts at no extra charge. Kelly was determined to impugn the Mercers as responsible for the sweat lodge structure and the fiasco that followed. He played a recording of Det. Diskin's interview with the Mercers in which he said that they should retain an attorney because, even though he didn't think they were criminally liable, they should protect themselves from civil litigation. Polk was not happy with the truncated testimony and Darrow promised to allow her to complete the record on redirect. She did, with hilarious results. Det. 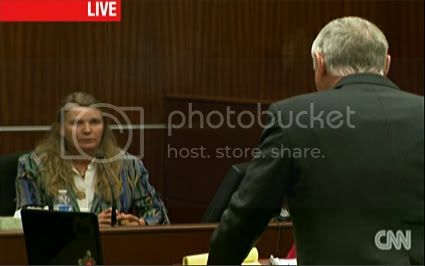 Diskin (as read by Sheila Polk): The problem is, you know, he's got limited defenses for why he allowed this to happen. And one of them is he's gonna point the finger at you guys and say, you know, that you guys didn't build it right or he thought that you guys were going to vent it better or something like that. Fairly prescient, that Det. Diskin. There's been a little movement on the James Ray plagiarism scandal I reported over the weekend. Lynne LaMaster tweeted that they have finally given her credit, but posted the wrong link and continue to post the entire article instead of an excerpt. As you can see in the comment thread above, "admin" is claiming total ignorance of their error. You'd have thought LaMaster's comment on their blog pointing out that they were plagiarizing her article and directing them to remove her work might have tipped them off. That was the comment they removed. Boy do I not like that guy. I didn't like him b4 today, so my reaction is probably skewed, but I just wanted to do him physical damage at many points today. First because of the way he treated such a kind, honest decent woman and second because of the way he's trying to lie and cheat his client out of receiving justice. But I can't understand how anything he did today helped JR at all. quite the opposite, imo. I just can't say enough how much I appreciate your writing LaVaughn. Wow, what a read. Interesting how the defense always has Mr. Kelly cross examine the women - too bad for him Debbie Mercer knew better than to give a manipulative pig her power - he reminds me so much of a "wife beater" He really is quite the reptile. Thanks again for your time on all these posts.